The cute scenic town of Fort Ann is home to many highways patrolled by the New York State Police. If you are reading this article there is a good chance you received a speeding ticket on I-87 or Route 149. Whatever the situation, you are now facing a hefty ticket that can cost you hundreds in fines, penalties, and insurance increases. Luckily, our law firm can help. Give us a call at 800-893-9645 to learn how our attorneys can help you save time, money, and points on your license. We are lead by a former New York City prosecutor who has prosecuted and defended thousands of cases. Our firm has gained a superb reputation among our peers and we are strategically located to fight most traffic tickets around the State. Who Prosecutes Tickets Issued in Fort Ann? There are many police agencies with the authority to issue tickets within the county. This includes but is not limited to the New York State Police, the County Sheriff’s Office and the local police for their respective municipalities. These tickets are routinely prosecuted by the District Attorney’s Office. Where is Fort Ann Court Located? The court is located at 80 George Street, PO Box 295, Fort Ann, New York. Its postal zip code is 12827. How can I Contact the Court? The court’s phone number is 518-639-4088. What Day are Traffic Tickets Prosecuted? Traffic matters can be prosecuted on any day that the court is in session. However, the majority of tickets are heard on the Wednesday Traffic Court calendar. What Happens if I Miss the Court Date Written on my Ticket? 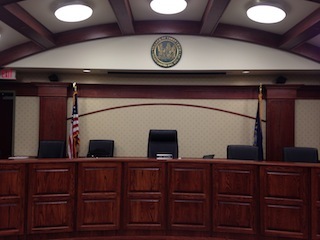 There are many adverse consequences that can take place for missing a court date. This can include the court suspending a driver’s privilege to drive. If a driver has missed the date written on their ticket, they should call our firm immediately to discuss their ticket in greater detail. In the alternative, the driver should call the court and ask for a new court date. How Many Points can a Driver Receive on Their License Before They are Suspended? There are many events that can trigger a license suspension. Receiving 11 points in an 18-month period is one thing that can trigger a suspension. How Many Points are Given for a Conviction to a New York Cell Phone Ticket? A conviction under VTL 1225 is a 5-point violation. How Many Points is a Conviction to a Speeding Ticket? Depending on the speed, a conviction to speeding can range from 3 points to 11 points. What is the Driver's Responsibility Assessment? With respect to traffic violations, the driver’s responsibility assessment or the DRA is a financial penalty for accruing too many points in an 18-month period. The DRA carries a minimum $300.00 fine for 6 points and an additional $75.00 fine for each point above 6. If you are facing a ticket in Fort Ann or Washington County, give our lawyers a call to learn how we can help. We can be reached at 800-893-9645.